Melbourne’s Total Giovanni are thrilled to release their forthcoming debut album Euphoria today via Dot Dash / Remote Control Records. A blend of Balearic hedonism, classic punk funk and psychedelic washes, Euphoria feels like a sweaty dancefloor and tastes like the first burst of summer. Glistening singles ‘Your Light’, ‘Comes In Waves’, ‘Awake’ & ‘I See’ each draw on the diverse inspirations that have influenced the making of Euphoria, where the Paradise Garage meets Madchester on the shores of the Mediterranean. Total Giovanni are a band that emerged out of the creative experimentation of five old friends Vachel Spirason, Julian Rawendra, Joe Charles, Dave Reidy and Matthew Hadley. The band’s following has built quickly on the reputation for their unpredictable and incendiary live shows. In addition to displaying a unique musical rapport, these live shows involved visual experimentation and explosive physical performances that combined to set off a word-of-mouth phenomenon. Thursday 1 Nov – The Croxton, Melbourne – Final Tickets! 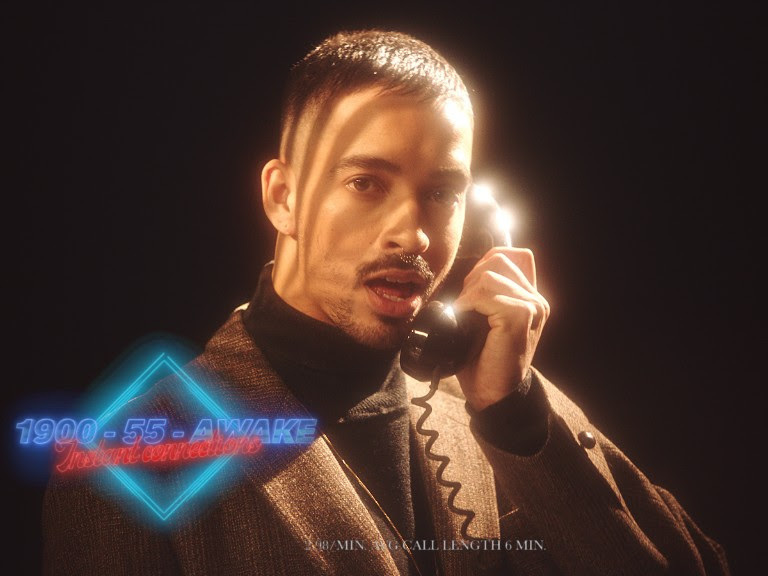 Following on from the announce of their debut record Euphoria, Melbourne’s Total Giovanni are delighted to share the video for their new single ‘Awake’. Watch the video via the image below. Total Giovanni’s debut album Euphoria is out Friday 19th October via Dot Dash / Remote Control Records. 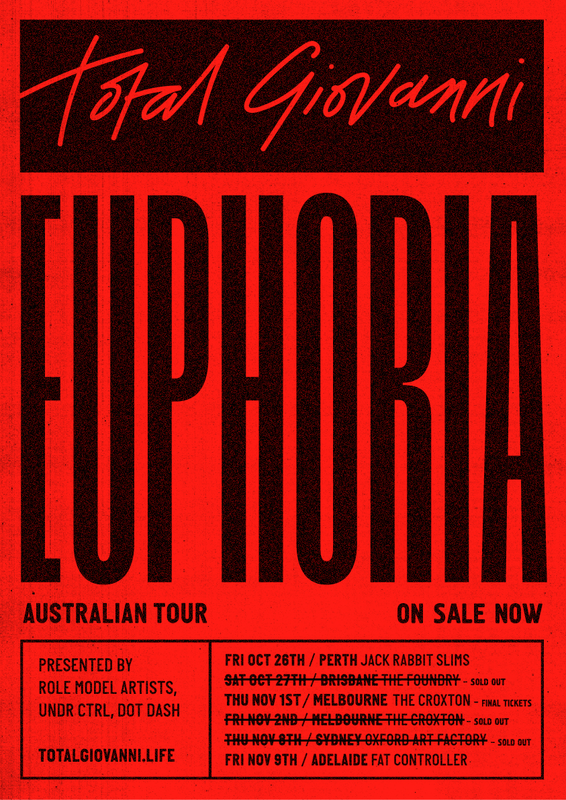 The band are set to take their amazing live show on the road in support of Euphoria in October and November. With Sydney now sold out, Brisbane about to sell out and Melbourne already onto a second show do not miss Total Giovanni in full flight. Thursday 1 Nov – The Croxton, Melbourne – NEW SHOW! al Giovanni are excited to share two brand new remixes for current single ‘Your Light’. 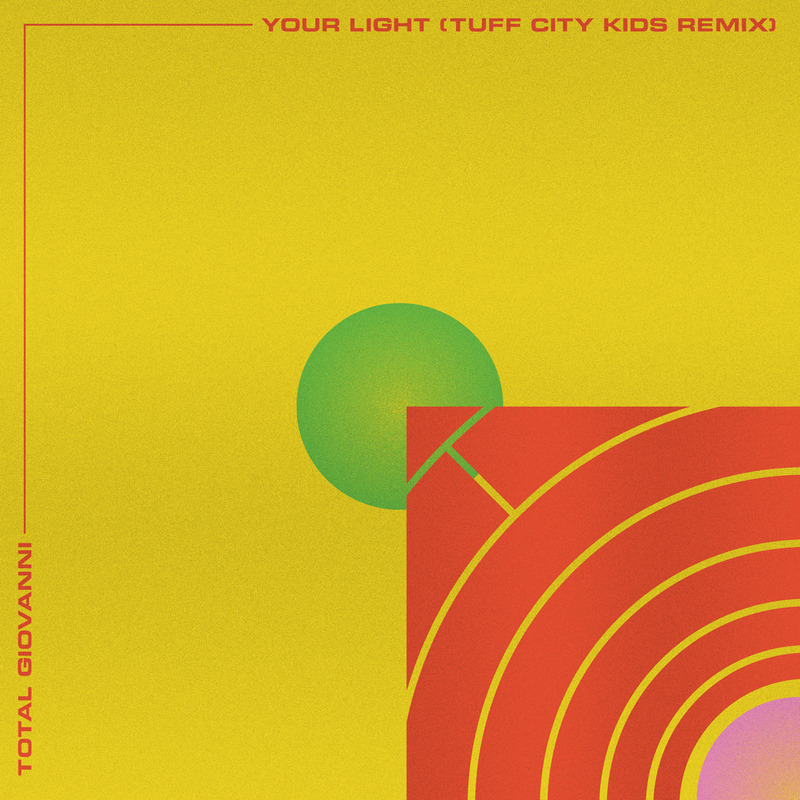 Premiering on Mixmag yesterday, Tuff City Kids – the duo consisting of Gerd Jason and Phillip Lauer – have delivered an amazing italo-disco inspired summer banger that begs you to worship at the altar of Total Giovanni. Sydney’s Sam Weston (Alba, Shiraz Voyager) has delivered ‘Your Light (Sam Weston’s Lights Low Rub)’ which has been streaming exclusively via Thirty Days Of Yes. Both remixes are now available on all digital service providers. 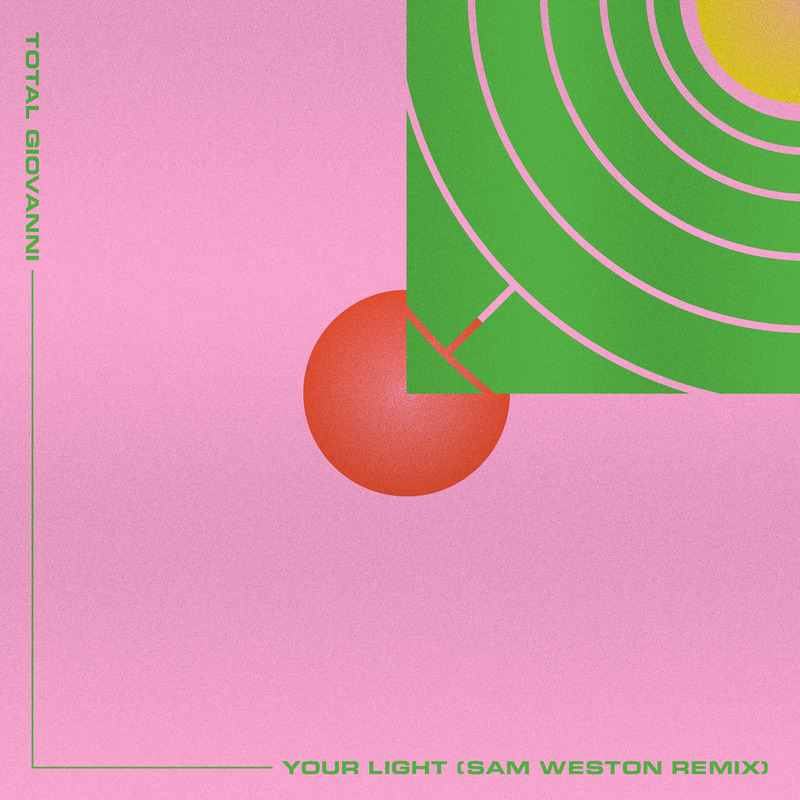 ‘Your Light‘ reintroduces you to the Total Giovanni’s signature breezy groove, edges into more polyrhythmic territory then escorts you through an open, big falsetto disco chorus, with layered lo-fi synths and up beat guitars pulsing towards the track’s close. “It was the first time we’d recorded with a live drummer instead of using drum machines and samples,” the band say, “we wanted the song to have a warm organic feel that reflected the sentiment and tone of the song.” Graeme Pogson, whose elite kit skills power GL and Bermuda, laid down the body of the track which would base the collective energy of the band playing in one room. Total Giovanni – ‘Your Light’ Remixes are out now via Dot Dash / Remote Control.